An outfit with clean lines and a traditional feel with bits of modernism infused. There are some clothes which makes me feel like that. One need not be born in Paris to have a Parisian Style. So I decided to deliver Parisian chic by mixing things and pairing too obvious price tags with street picked stuff. All one needs is a mix of timeless taste with individual creativity. 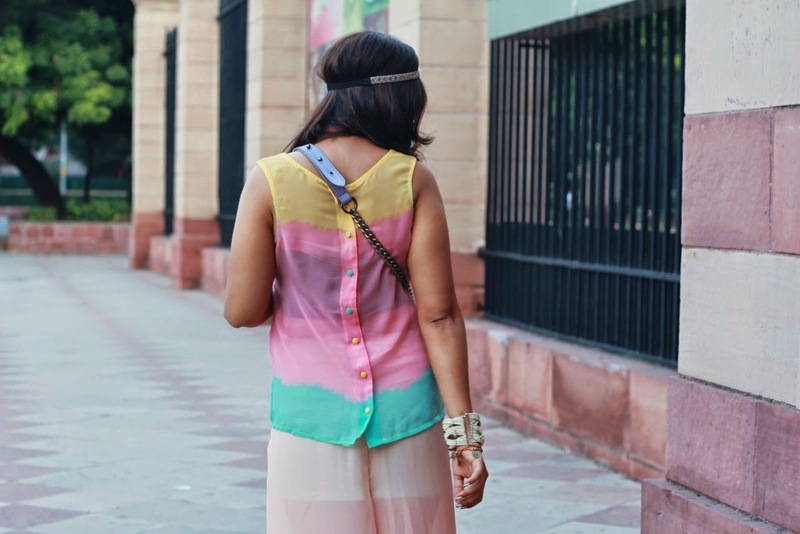 Looking natural and having an allure of life is my idea of sartorial fashion Mash-ups . 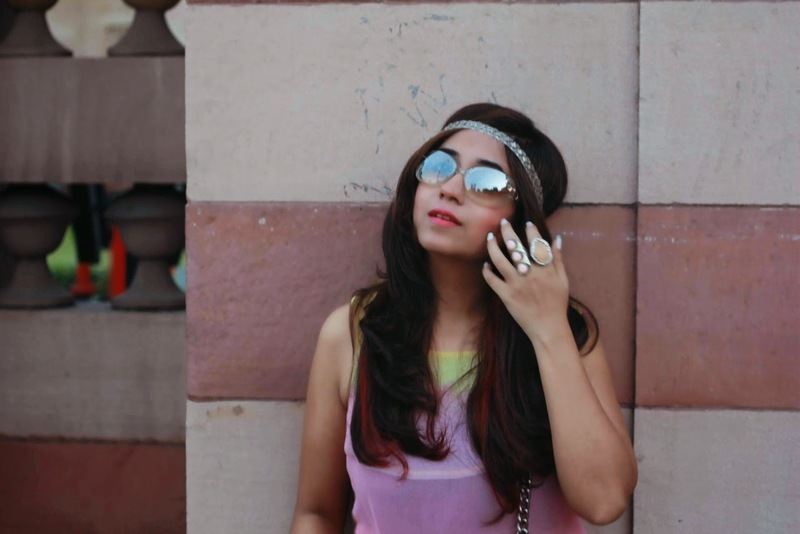 I was listening to my cotton candy side when I planned on creating a Retro meets Parisian Chic look on the blog. Pretty Pastel with mint green, some blush and the Lavender which came in a black box , well let's just say that I was Brave enough to do a head to toe Pastel look,but why not, when You've had a closet full of baby blue and baby pink stuff from last season, how do you make it look new again ? such a nice outfit! the bag is so pretty! Beautiful look! Love your bag. Awesome look! I love these pastell colors on you! Such a pretty look my dear! 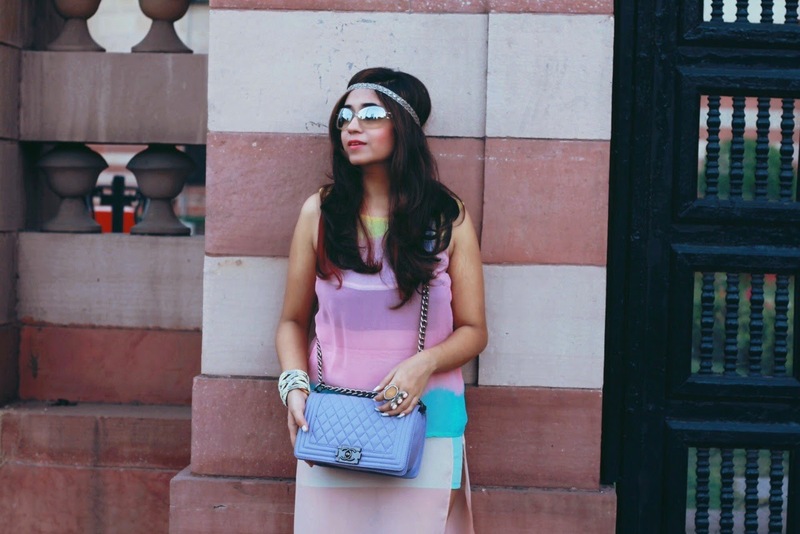 Love the pastel tones! That dress is so stunning on you. I am not gonna lie, I adore the color of that bag. Perfect pairing! Bella mi piace molto, i colori che hai usato sono favolosi! 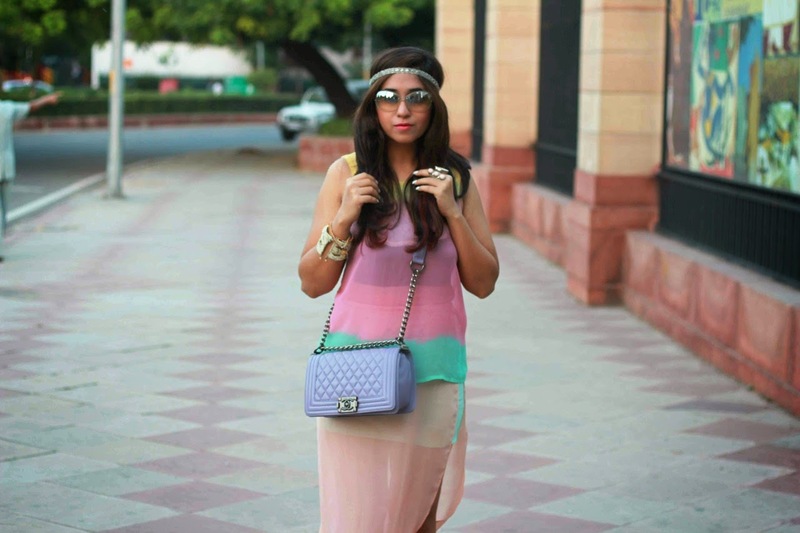 The pastel shades compliment each other so well! 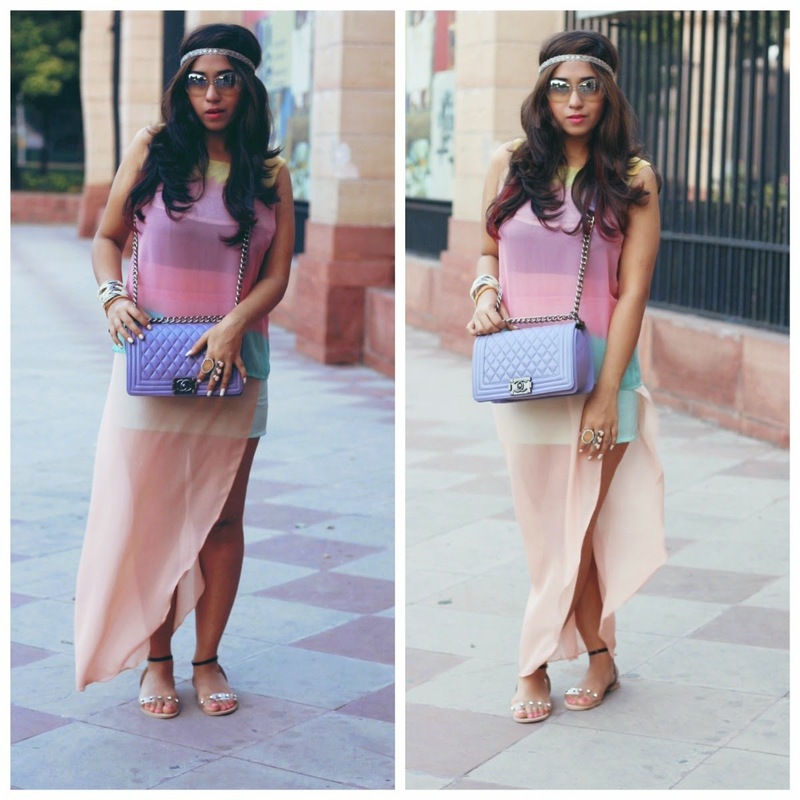 I love boho chic outfits, your dress is so gorgeous! This outfit is uniquely chic, I love it! Cute dress! Love the bag! This is such a hippie chic look. Love it. That bag is yummy ! OMG what a beautiful look! yes, I agree, one doesn't need to be parisian to look like one. 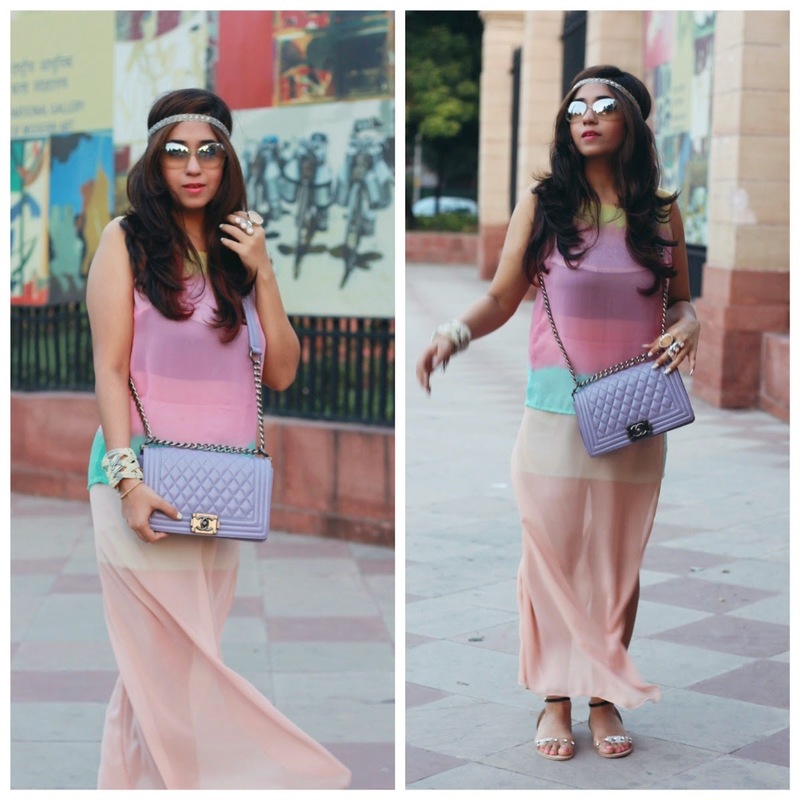 Your look is simply gorgeous, love the pastel color combination and the unique accessories! 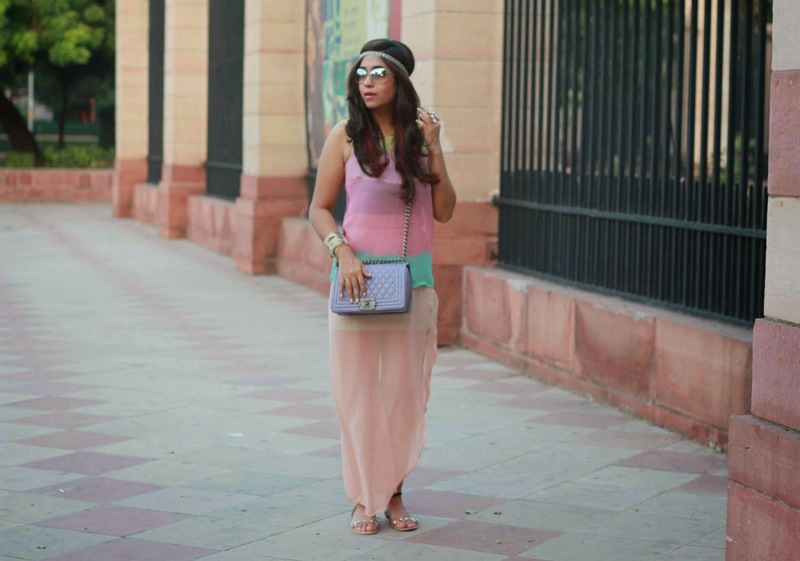 Love the pastel colour combination! What a look!! The colors are simply amazing!! You look fabulous. 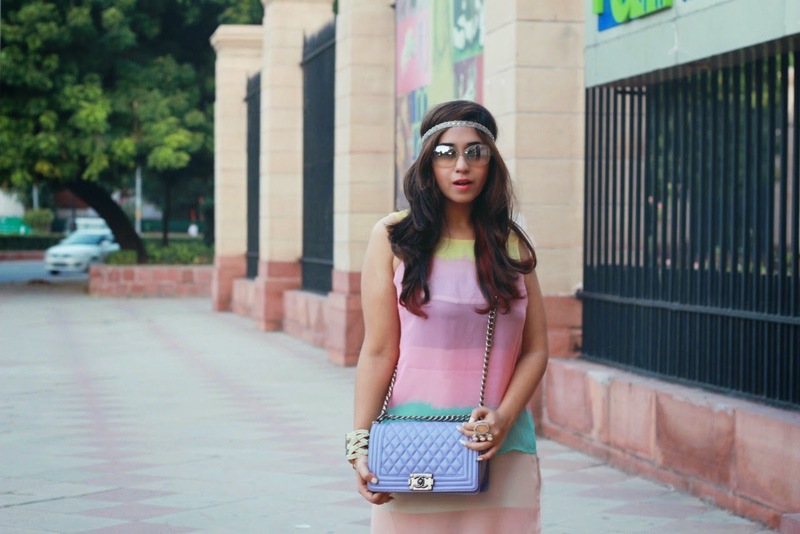 Amazing look and upur Chanel bag is to die for! /would you like to follow each other? You seriously have an amazing sense of style. I cannot believe I JUST came across your blog! Will be on the look out for more posts from now on lady! That dress is so beautiful! I love the pastel colors! I really like those colors in your outfit!